Unpopular opinion alert: I love winter! Whereas most people look forward to the warm summer months, I absolutely adore the cold winter months! Alright, the days might get shorter and it might be harder to get out of your cosy, warm bed in the morning, however I do believe that winter does have its perks. Now that winter has reached its peak, read on to discover 10 reasons why winter is better than summer. 1. Makeup lasts a whole day on your face. When applying your makeup in the morning on a cold winter day, you can count on the fact that it will still look good past midday, or possibly even when you get back home from work. On the other hand, the warmer weather in summer means that your carefully applied liquid liner and mascara will most probably be sliding down your cheeks by mid-morning! 2. Humidity-free hair = Great hair days! If you’ve got frizz-prone hair like I do, you will totally appreciate the winter months for their lower humidity! Not only does it take less time to straighten your hair when it’s not so humid, but all your hard work actually lasts longer than five minutes – and you can swish your frizz-free hair from side to side with pride all day long. Yes, you probably drink hot drinks all year round. 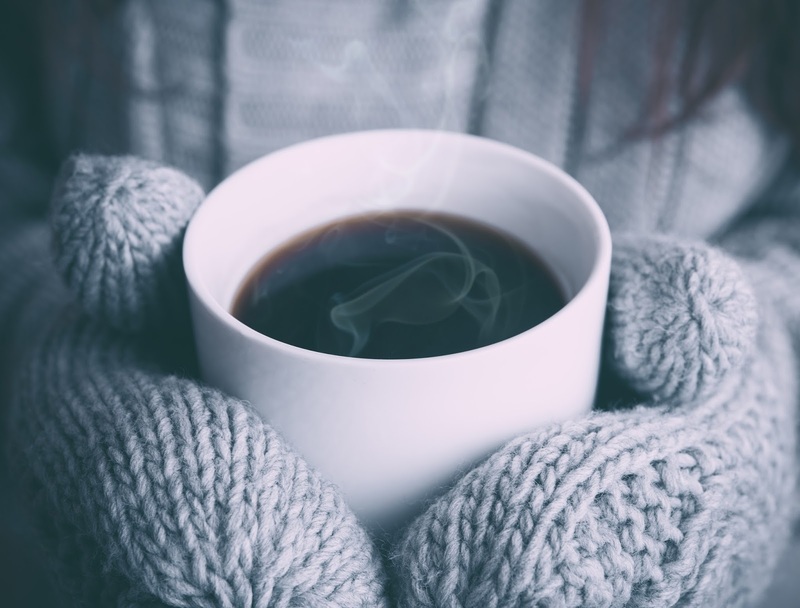 However, nothing quite beats the feeling of drinking your tea or thick hot chocolate while snuggled under a cosy blanket – or even outside to keep you warm. It’s just not the same in summer, is it? Another thing I love about winter is the feeling of getting home from work and changing into your ultra soft and thick (Primark) PJs. There’s no denying that summer PJs offer nowhere near as much softness, cosiness and comfort as a fleecy set of winter PJs. 5. Getting into bed under a thick, warm duvet. Your bed just seems so much more inviting when it’s cold outside and your thick, warm duvet promises you a warm and cosy little world of your own. Getting out of bed in the morning, though – that’s a whole different story! Although getting out of bed in the morning is probably one of the hardest things there is to deal with in winter, you can venture out of the house in essentially, a wearable duvet (also known as a thick coat!). Winter fashion is so much more comfortable than summer fashion, plus your food baby doesn’t show up as easily – score! Check out my winter fashion essentials. Love them or hate them, there’s no denying that UGGs are probably the most comfortable winter boots out there! They keep your feet nice and toasty – and whilst not everyone might approve of them, this little cat approves of mine, and that’s all that really matters. A long, hot bath in summer is probably one of the worst things imagineable, however it’s pure heaven in winter! Plus, all the limited edition Lush bath bombs come out in winter #exciting! 9. Curling up under a blanket with a book. One of my favourite things to do when the weather outside is cold and rainy, is to curl up under a soft blanket with a book whilst hearing the sound of the rain outside. There’s something I find so relaxing about this – and I actually really miss it in summer! For some reason, pretty much most bugs seem to disappear during winter, and this makes me VERY happy! Goodbye, mosquitos! See you again next summer!